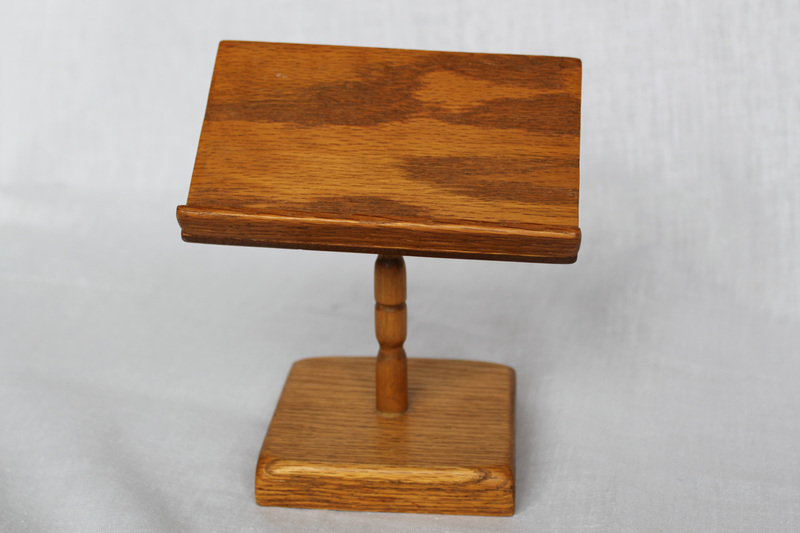 When I saw this wooden holder in a thrift store, I knew it still had life in it, so I brought it home. It is about 6 inches high. I sanded it to smooth out the rough edges and primed it. 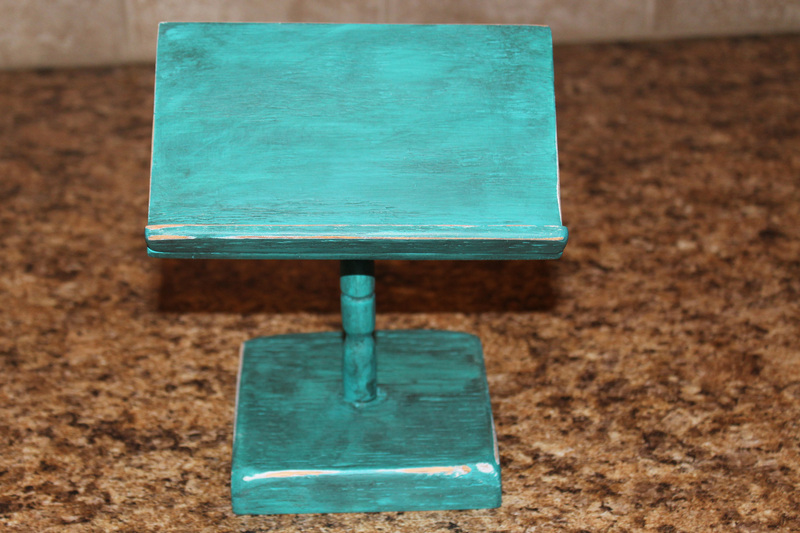 Then I took craft turquoise paint and gave it several coats. I glazed it as well. Here it is. 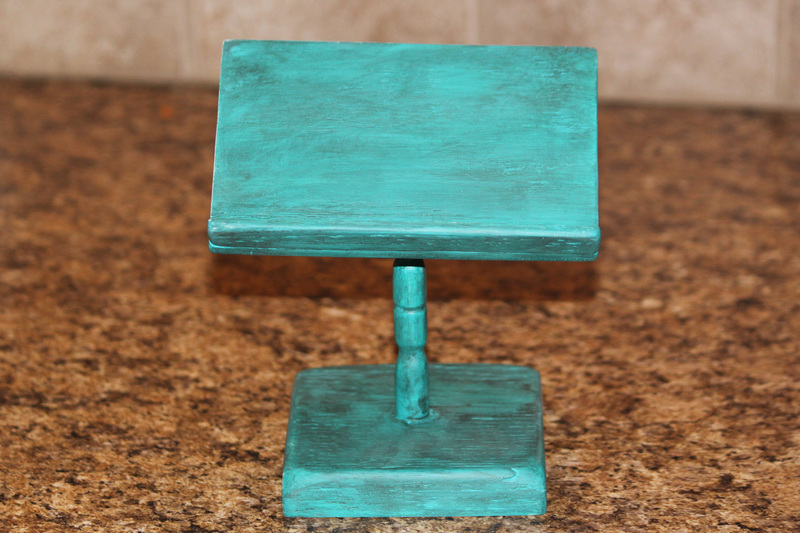 It wasn’t quite what I wanted so I lightly sanded it all over and then distressed the edges. Now I really like it. 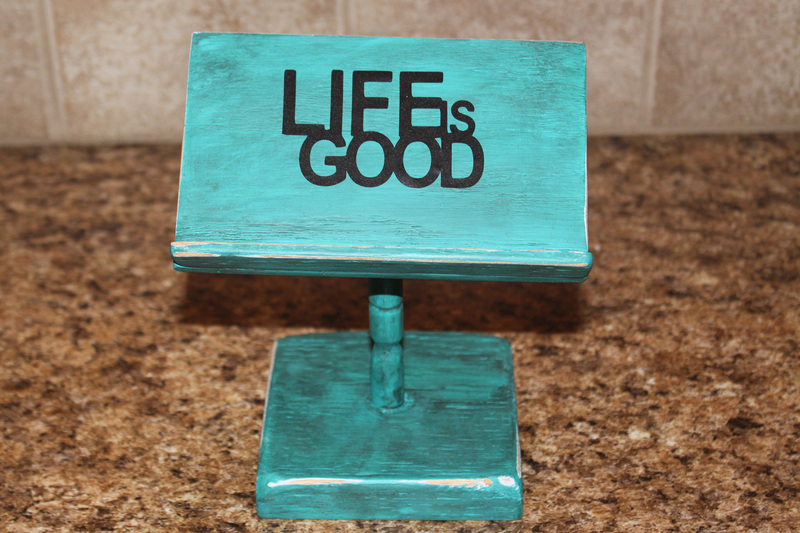 I decided to use my Cricut to add some words so when it is standing empty, there is a fun reminder. 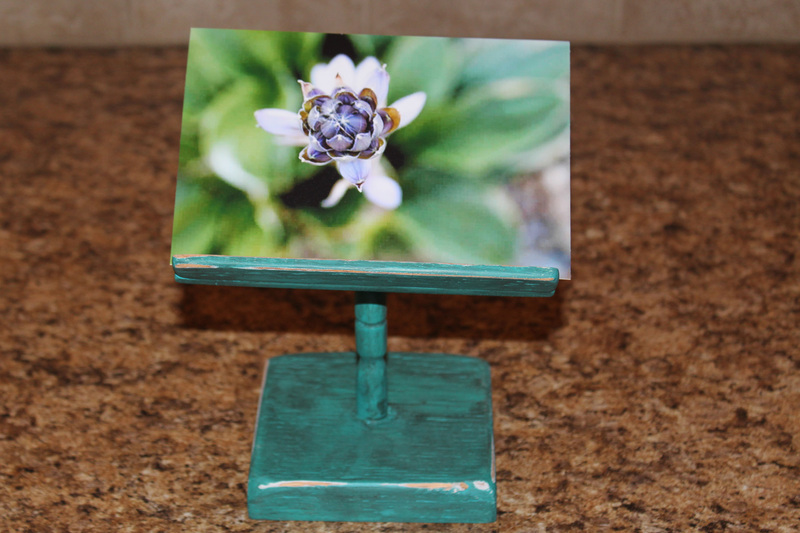 It can be a recipe holder or a fun way to display a photo. I have listed this for sale. I really enjoy painting wood and have several projects just waiting for me to complete. Will share as I get them done.